The origins of Brussels sprouts are unknown, the first mention of them can be traced to the late 16th century. They are thought to be native to Belgium, specifically to a region near its capital, Brussels, after which they are named. They remained a local crop in this area until their use spread across Europe during World War I. Brussels sprouts are now cultivated throughout Europe and the United States. 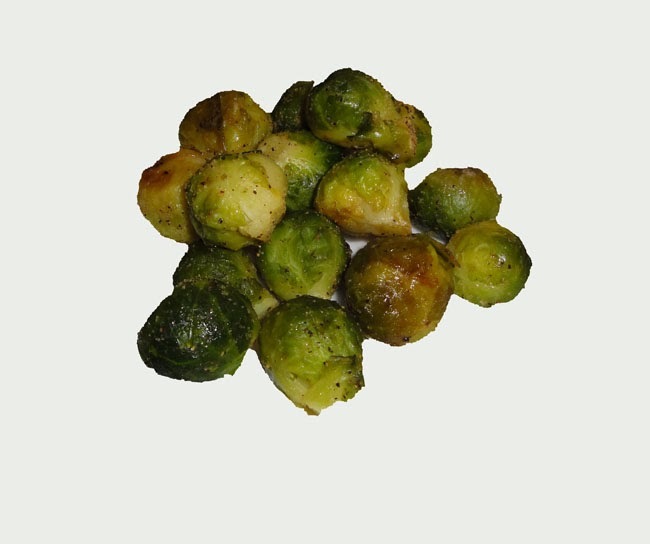 In the America, almost all Brussels sprouts are grown in the state of California. A good Brussels sprouts are firm, compact, and vivid green. They should be free of yellowed or wilted leaves and should not be puffy or soft in texture. Avoid those that have perforations in their leaves as this may indicate that they have aphids residing within. If Brussels sprouts are sold individually, choose those of equal size to ensure that they will cook evenly. You can find Brussels sprouts year roung, but their growing period is from fall until early spring. Keep unwashed and untrimmed Brussels sprouts in the vegetable compartment of the refrigerator. Stored in a plastic bag, they can be kept up tp10 days. If you want to freeze Brussels sprouts, blanch them first for between three to five minutes. They will keep in the freezer for up to one year. Brussels sprouts are tossed with olive oil, garlic, brown sugar, salt and black pepper, than roasted until the sugar caramelizes. In a small bowl, combine brown sugar, garlic powder, olive oil, salt and pepper. Add Brussels sprouts to the bowl, toss to coat, making sure to coat each Brussels sprout. Place Brussels sprout on sheet pan in an even layer. Roast for 25 to 28 minutes, turning every 10 minutes, until sugar caramelized and edges are crisp. Just before serving, garnish with salt. Enjoy!